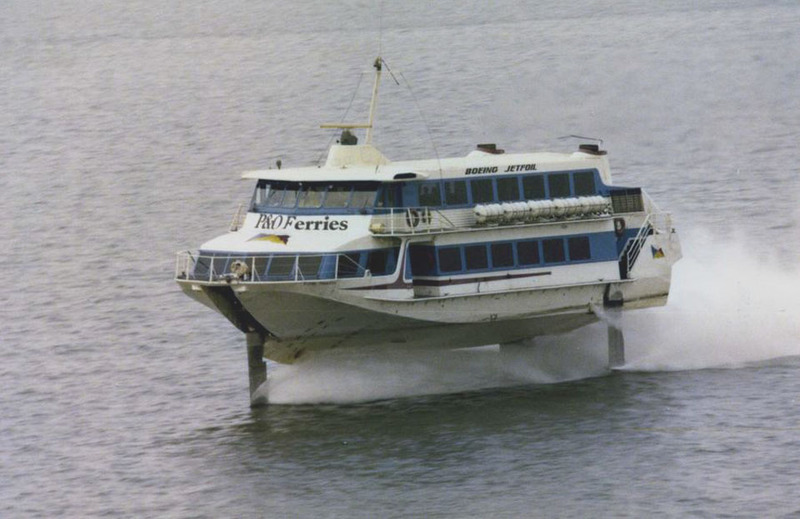 The 929 series Jetfoil high speed passenger ferry was initially designed and constructed by the marine division of the Boeing Company of Seattle, Washington. Latterly the licence to develop and build the type was passed to Kawasaki Heavy Industries of Japan. 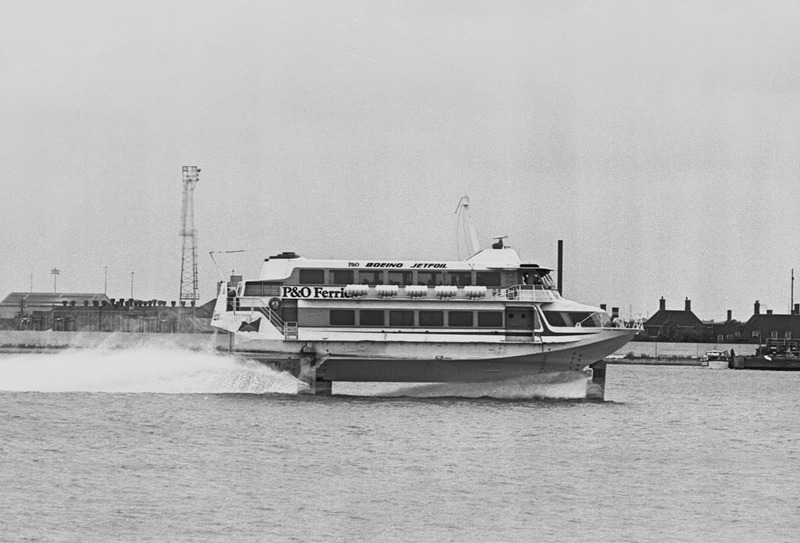 The craft was a direct descendant of a research and development programme carried out by the United States Navy during the 1960’s to examine the technical feasibility of a vessel which could deliver the fire-power and operating capabilities of a destroyer but at speeds in excess of 50 knots. In 1978 the 929 -100 was developed into the 929 – 115 model. May 9th 1975: Keel laid. September 1st 1976: Delivered to Boeing Marine Systems, Seattle, USA. 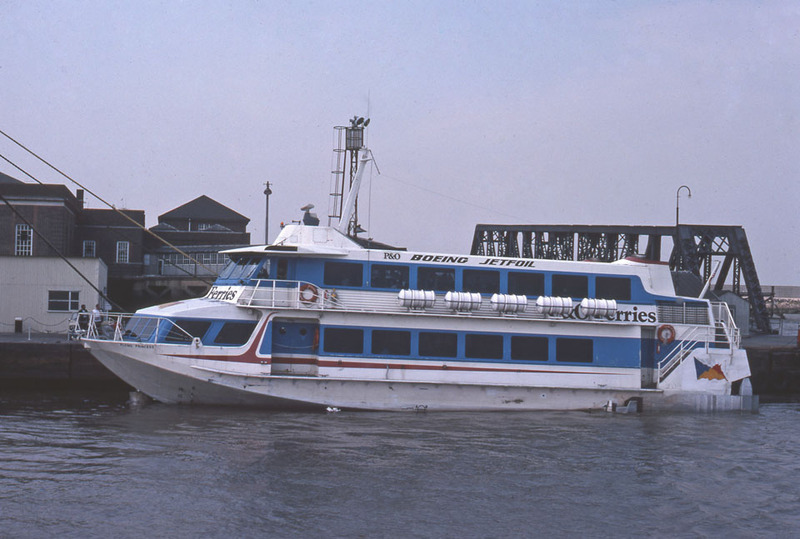 September – November 1976: Leased by the non-profit Flying Princess Transportation Corp., with the close co-operation and assistance of the B.C. Steamship Company to operate a test service between Seattle – Victoria. 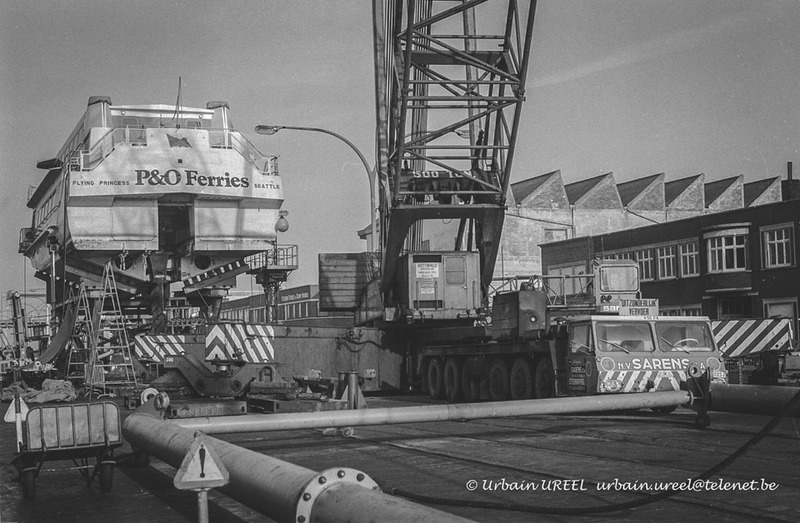 March 11th 1977: Arrived as deck cargo in Copenhagen. March 14th 1977: Extended north-west Europe and British Isles promotional tour (including Denmark, Sweden, Germany, Norway, Scotland, England, France and Belgium). 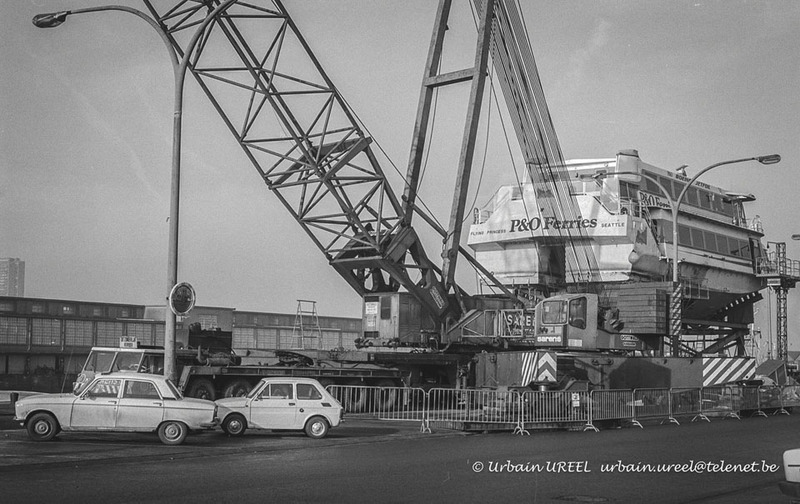 May 2nd 1977: Taken to Ostend for final preparations and route proving. 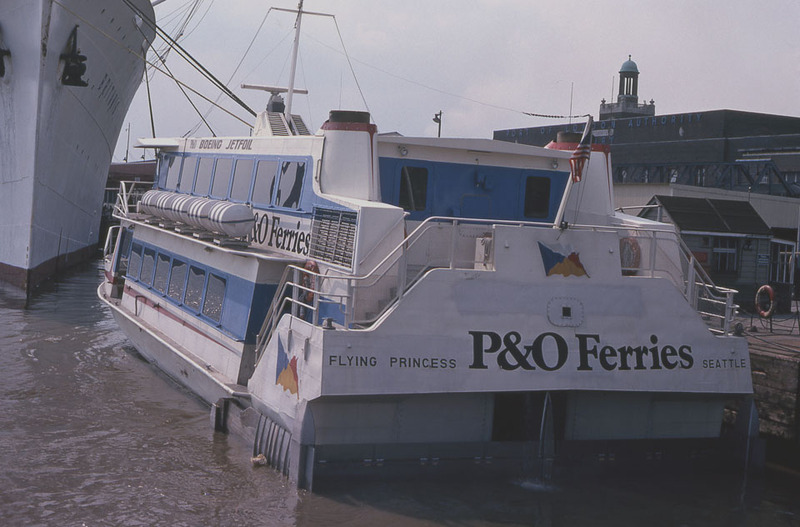 June 1st 1977-1978: Chartered to P&O Ferries. 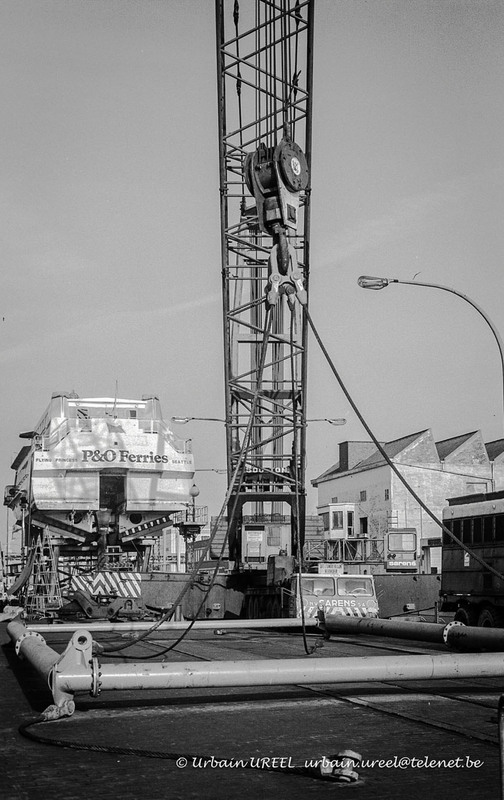 Operated on services across the English Channel (St Katherine’s Pier, London – Zeebrugge). September 25th 1978: Service suspended. 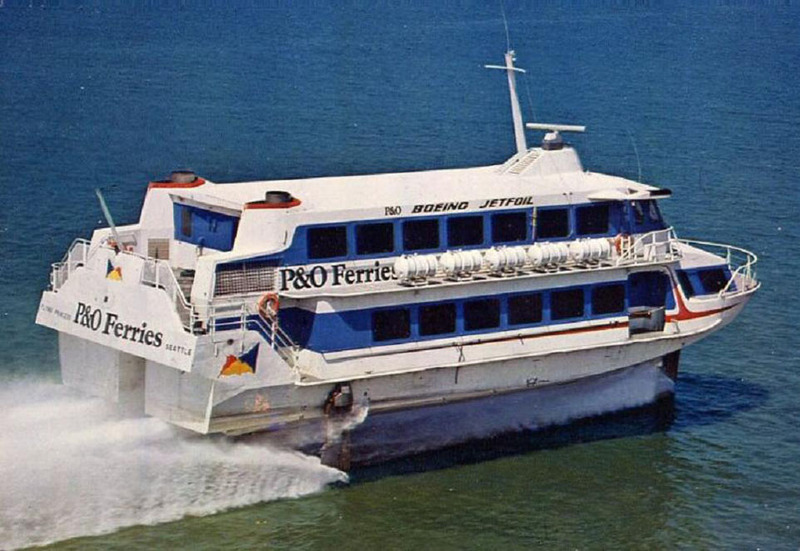 1979: Leased to Jet Link, for services between Brighton – Dieppe. 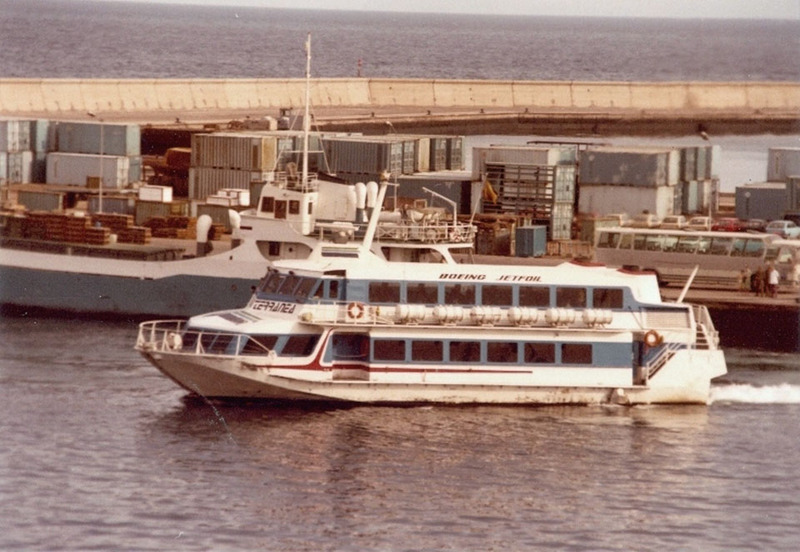 January 1st 1980: To Trasmediterranea for services between Las Palmas, Gran Canaria and Santa Cruz. Renamed PRINCESA VOLADORA. July 27th 1980: Trial trip between Las Palmas and Tenerife. 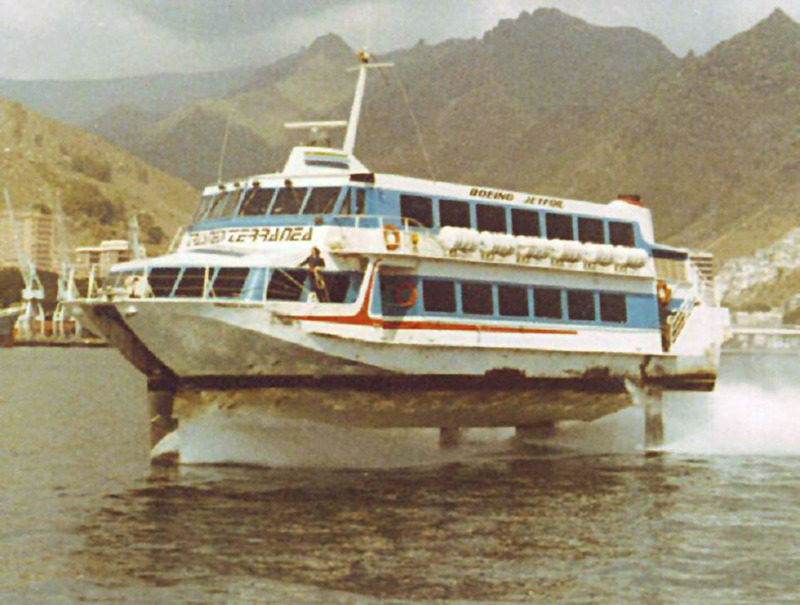 August 7th 1983: Inaugural service between Las Palmas – Tenerife. 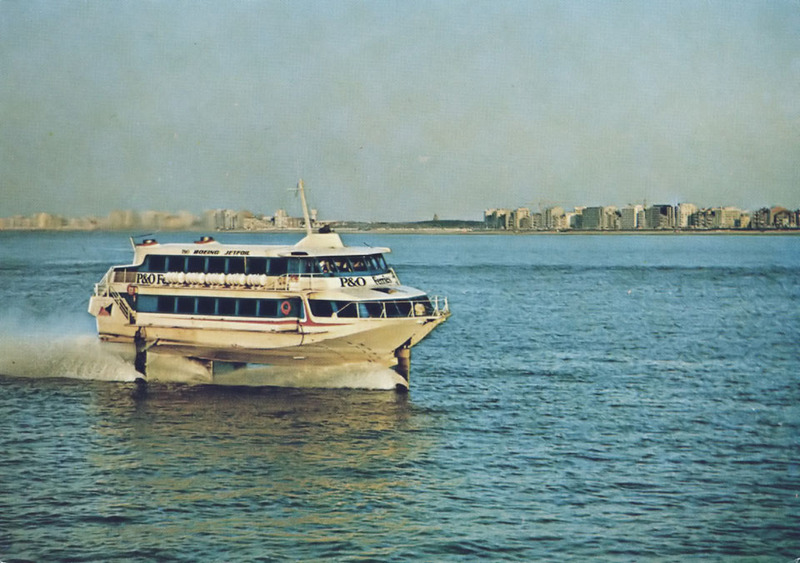 April 14th 1981: Replaced by the PRINCESS GUAYARMINA (GTS 18). January 1st 1981: Registered to STF Urzela Ltd. (Mgrs. Shun Tak Ship Management Ltd.), Hong Kong. Renamed URZELA. 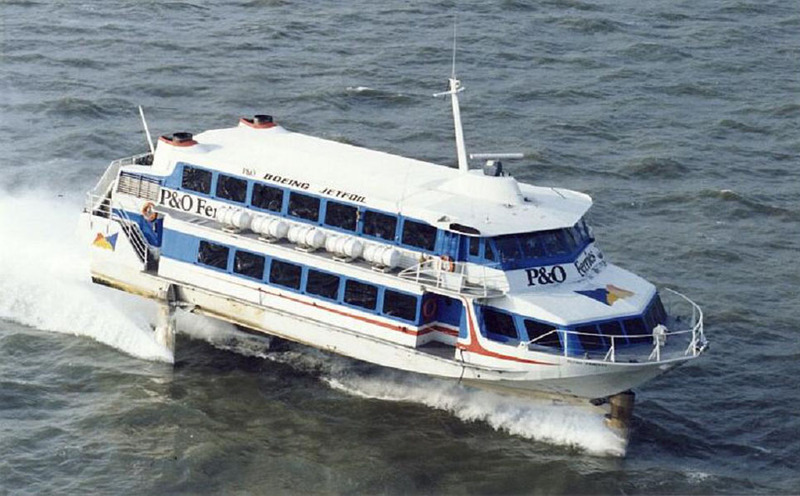 2000: Registered owner Sinocross International, Hong Kong. 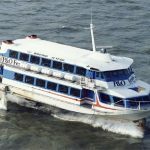 October 23rd 2002: Badly damaged and 33 people injured, five of them seriously as the vessel came to a sudden landing approximately ten minutes before arriving in Macau. An investigation showed the cause was a failure of the king post in the strut of the bow T-foil, due to metal fatigue. December 29th 2012: Struck a marker Buoy shortly after departing Macau bound for Hong Kong. 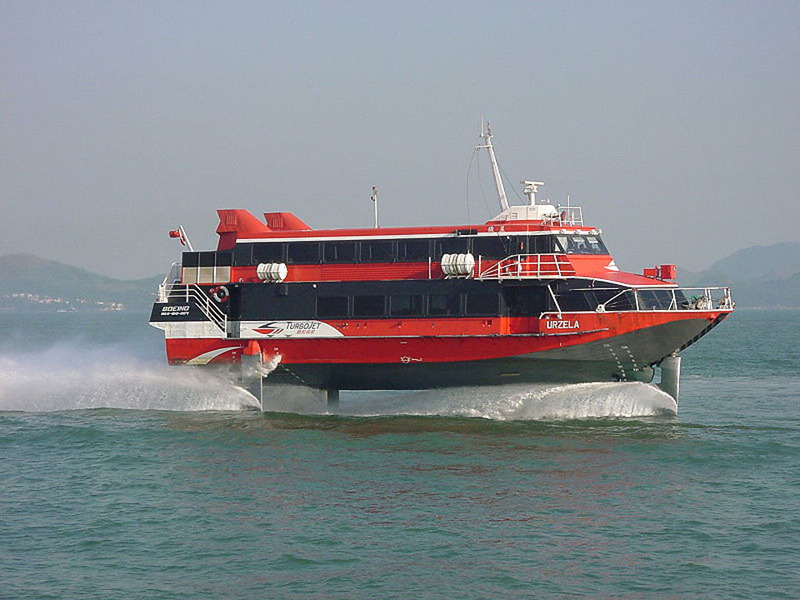 February 22nd 2018: Still in service Hong Kong – Macau. We would like to thank: Tony Garner, SoHome Jacaranda, Nicolas Levy, Derek Longly, Andy Skarstein and Urbain Ureel for their assistance in producing this feature. All information is believed to be correct and no responsibility is accepted for errors and omissions.